If you are a runner with flat feet, then you know how important it is to find running shoes with proper support. This is because when you run, the arches of your feet are called upon to support three times the body weight of a person who is standing still. The good news for flat-footed runners is that shoe manufacturers have developed a variety of new running shoe technologies. Improved cushioning and support means that joggers with flat feet can now run in greater comfort, with less risk of injury to their knees, ankles and arches. 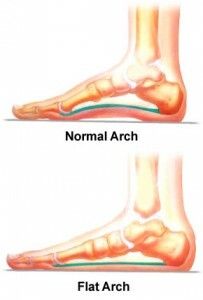 The arches in your feet are like a shock absorption system. They cushion the impact on your feet, ankles, knees and hips to help to prevent injury to these areas. The arch of the foot is formed by the tarsal and metatarsal bones and allows the foot to support the weight of the body while standing erect. The height of the foot’s arch dictates the type of foot and degree of pronation. Individuals with low arches tend to overpronate when running, which can result in foot injuries. The term “flat feet” means that a person’s arch is literally touching the ground, with almost no natural support. A flat foot is a sign of this overpronation, meaning that the arch collapses when the foot hits the ground. 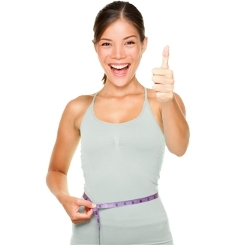 As a result, your ankle is twisted inward and your knees are forced to overcompensate. Runners with flat feet need running shoes that provide extra support and stability and allow them to train like everybody else. When shopping for shoes, you should search for shoes that give you greater stability, support and motion control. Major manufacturers like Nike, Asics, Mizuno and Adidas offer shoes designed for flat feet. Take your time, because you won’t know which shoe is right for you until you try it on for yourself. Support is the most important element a flat foot runner should consider when shopping for shoes. Running shoe reviews online can help you learn about which brand is the most highly-rated for problem feet. Running forums are another way to learn about other people’s experiences with a certain brand of shoes. The good news is that all the major shoe companies now feature their own stability shoe collections for customers with flat feet and overpronation issues. The running shoe industry has developed its own quality standard for stability, and manufacturers are paying attention to what their customers want. The technology in stability shoes consists of dual density foam injected directly below the medial side of the arch and often extending all the way to the shoe heel. Brooks, Reebok, Saucony and Asics all offer stability running shoes with special foam technology inside. Motion control running shoes are essentially stability shoes for the most severe overpronators. Motion control running shoes are similar to stability shoes, but include special construction that serves to lock your foot into position while running. 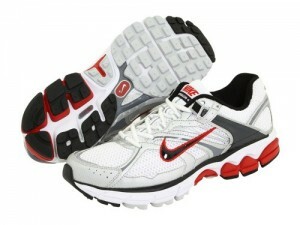 Many motion control running shoes feature a raised arch made from hard material. This is designed to hold your arch in the correct position, but it can be quite uncomfortable. Be sure to try the shoes on and walk around in them before making a decision to take them home. One of the best ways for runners to deal with flat feet is to do foot exercises. Try bending your toes forward and “squeezing” them downward several times per day. Running in sand on the beach can also help to improve the condition of flat feet in a natural way. Through the combination of proper footwear and specific foot exercises, individuals suffering from flat feet should be able to develop a normal exercise routine. And fortunately, shoe manufacturers are helping by designing shoes for problem feet. If you take your time and do your research, you should be able to find the right shoes for your particular needs. If you are a flat-footed runner, insoles inserted into your running shoes can make a huge difference. Running shoes are manufactured with varying degrees of support, but the truth is that they never have enough support for people with flat feet. Insoles or inserts should be considered standard equipment for runners with flat feet. In most cases, the insoles for flat feet have more support and will raise your foot higher than the original inserts provided by the manufacturer. Keep in mind that not all insoles or inserts may feel equally comfortable in all shoes, which means you will have to try several until you find the right combination for your particular circumstances. Be sure that the insoles fit precisely in order to avoid blisters that can occur by the insole sliding back and forth inside the shoe while running. A good pair of insoles for flat feet should cost between $25 and $35 dollars. They are available at your local running shoes store, or online, and are one of the best investments you can make for increased comfort and injury protection while running. Avoid eating meals in front of the television. Sit at the table with a proper place setting and be aware of how many calories you are consuming.